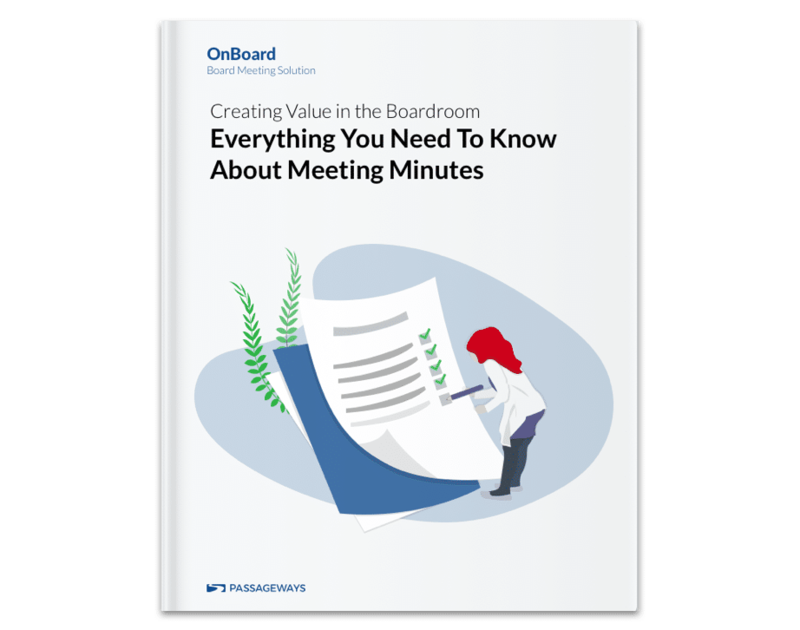 In this White Paper, authored by Bonnie Oakes Charron of Board Concierge, she examines everything you need to know about meeting minutes. When people first start taking minutes, they are often thrust into the situation with little formal training or support. Learning on the job risks mistakes that could have legal implications. But it doesn’t have to be this way. This indepth discussion look at what meeting minutes are, why are they important, how to write effective minutes to drive good governance. Here we set out to answer the most common questions about meeting minutes, provide a template for use, and offer concrete tips to make your meeting minutes more effective.